I like skirts as always, especially this white one, it looks like a beautiful princess. Das 2., 5. und 7. Outfit wären total meins… sehr sehr schön!! As I always say, I adore your style love! And you slayed during your holiday and I’m not mad at that. Although I love all of your looks I’d have to say that my favorite is the wrap dress. So pretty on you. Your photos are so magical dear. Love your outfits, especially the maxi wrap-style dress. Deine Looks sind alle sooo schön, ich könnte mich gar nicht für einen Favoriten entscheiden! 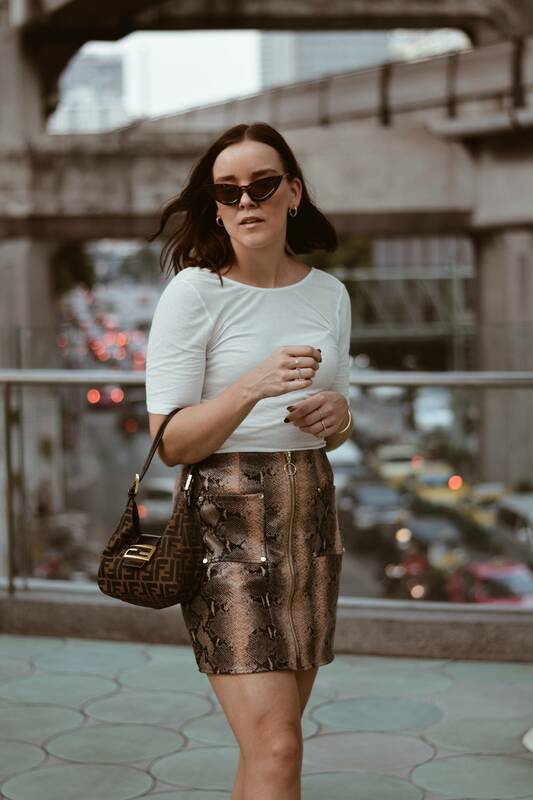 Your style was on point in Thailand, lady! Deine Outfits sind mal wieder ein absoluter Traum, meine liebe Tina! Und ich liebe sie alle, wobei mein Favorit definitiv dieses absolut geniale, braune Wrap Dress ist! All of these outfits are beautiful and you look amazing Tina! Loving the wrap dress. deine Urlaubslooks sind der absolute Hammer ! Gorgeous looks. The white and gold one is a top favorite of mine. I couldn’t pick my favorite look. These photos are amazing! I like all the outfits you’re wearing!